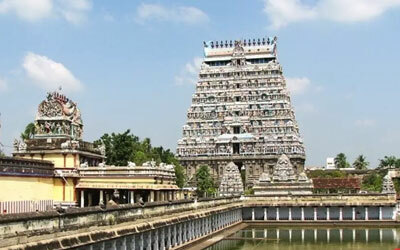 Tamilnadu - “The Land of Temples“ bounded on the north by AndhraPradesh and Karnataka, on the West by Kerala, on the East by the Bay of Bengal and on the South by the Indian Ocean.It is the Eleventh largest state in the country. Relatively uninfluenced by foreign invaders, here much of ancient India survives in its purest form – in its customs in its towering temple architecture, in its dances and costumes. Here life is more leisurely and more traditional. Magnificently sculptured temples, richly woven silks, colourful festivals, cool hillstations and wide beaches are some of the attractions of this land. 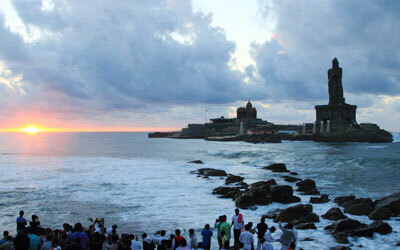 It is in TamilNadu that the southernmost point of India – Kanyakumari – is located. The waters of Bay of Bengal, the Arabian Sea and the Indian Ocean meet here. 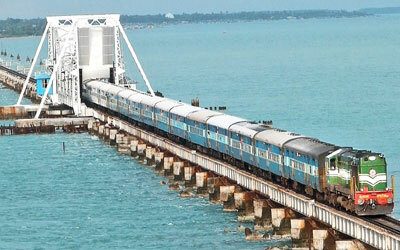 The pilgrimage of the devout Hindu is never complete without a trip to Rameshwaram in the state after visiting Varanasi or Kasi in UttarPradesh. Chidambaram is derived from the “Chit Ambaram" which literally means the sky permeated by an atmosphere of intelligence and wisdom. Lord Natraja is said to have emerged from the sacred space and performed his Cosmic Dance before his two devotees. The city of nectar, is a planned city and laid out on the pattern of a lotus flower, with the famous Meenakshi Temple in the center. Today Madurai is the most famous of the temple-towns of the south, and is a thriving center for commerce, religion,education and culture. Tanjore is known as the Rice Bowl of Tamil Nadu, was the center of learning and culture in 10 th and 14 th centuries. 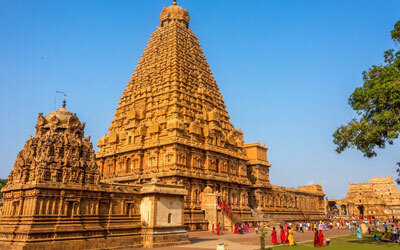 It has a large share of the ancient temple wonders of South India, especially the Brihadeeswara Temple which is the most striking example of the Cholas in the temple architecture. 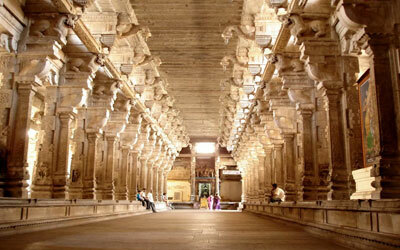 Situated on the banks of the river Cauvery, was the citadel of the Cholas since the Sangam Age. 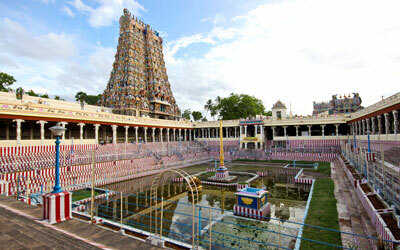 Trichy is famous for the Ranganatha Temple at Srirangam, a picturesque island on the river Cauvery. The sacred island town of Rameswaram, located at the extreme south-eastern limit of the Indian Peninsula, has one of India's most venerated temples, Sri Ramanathaswamy Temple is renowned for its many pillared corridors. The southernmost point of peninsular India. It is the meeting point of three oceans - Bay of Bengal, the Arabian Sea and the Indian Ocean. Besides its importance as a piligrim center, it is famous for its beautiful views of sunrise,sunset and moonrise over the waters. 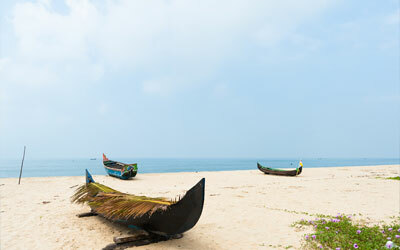 Mahabalipuram or Mallapuram, is famous not only for its shore temple, and Arjun's Penance but its beautiful beaches. 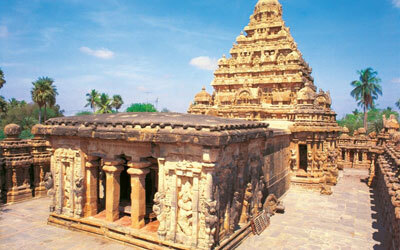 It was the second capital and seaport of the Pallava kings of Kanchipuram. 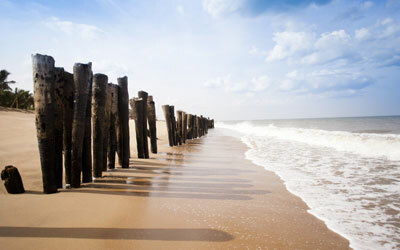 A French colony upto 1954, Pondicherry is a living monument of French culture in India. This small quiet town is neatly built with a French ambience. The Ashram founded by Sri Aurobindo, the well known philosopher, is visited by thousands of people from all over the world. About 10 km away is Auroville, the international township designed to promote integrated living.